As the days turn to fall, the days shorten and dusk falls earlier each night. The goat still needs to be milked. Tonight, it was just me with Faith Hill who easily went to the stanchion. 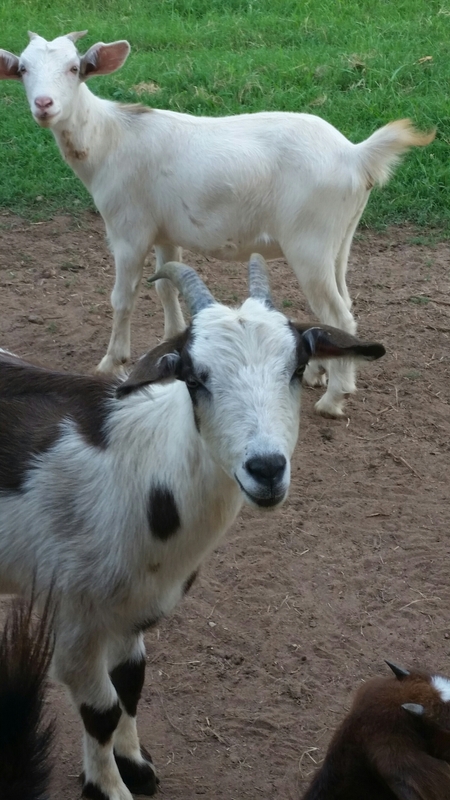 As I sat to milk her, 3 other goats nudied my legs for treats. Then, I felt something breathing on my neck. I jumped, turned and met the gaze of ADHD Sam, who licked me on the cheek. At least he didn’t make those crazy mating calls. I gave him an apple treat, and he headbutted Connie Francis. Rita Rudner laid her poke-berry stained head in my lap and Betty White nibbled at my apron. I only screamed a little when the old barn made creaking noises and a barn cat streaked by my feet. Weirdo goats.